Backed by rich industry experience, we are presenting vast variety of Display Stands. These products are manufactured in accordance with International quality standards at our sophisticated manufacturing unit. Our assortment can be availed by the patrons in various sizes and color combinations as per their requirements. 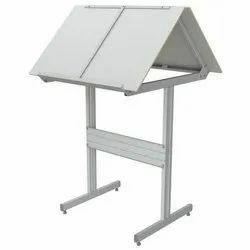 We have engaged ourselves in offering a wide range of Newspaper Stand that is manufactured using optimum grade raw material. The raw material used by our expert professionals is procured from the most authentic vendors of the market. Available at market leading prices, these products are defined by International quality standards and norms. Also, our range can also be customized according to the specifications and requirements detailed by the clients. Looking for Display Stands ?